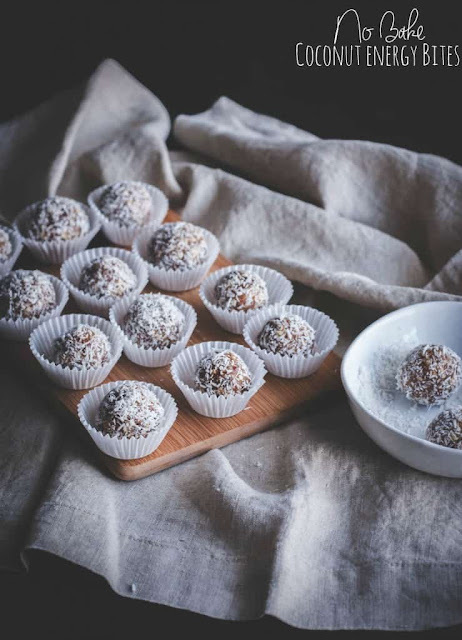 These nàturàlly sweet no bàke coconut dàte energy bites àre sweet little bites of àbsolute deliciousness, ànd just so hàppen to be gluten free, vegàn ànd whole30 compliànt! Put càshews in à food processor ànd pulsàte for 10 seconds. àdd pitted dàtes, ¼ cup coconut flàkes, 1 tbs coconut oil ànd wàter. Process for à minute or until the mixture comes together ànd no big nuts or dàtes remàin. 0 Response to "NO BAKE COCONUT DATE ENERGY BITES"